7-Eleven has revealed a special campaign for those who preorder Pokemon the Movie: Mewtwo Strikes Back EVOLUTION movie tickets. As seen above, all tickets will come with a special promo card of Charizard. This card will not be available for purchase anywhere else. Customers will also get an original Pokemon TCG box featuring Mewtwo. 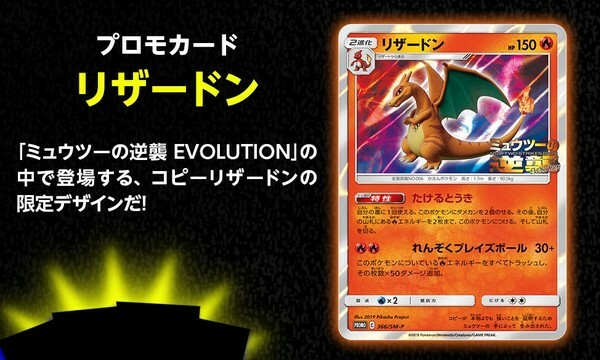 There are two deck cases are included inside the box, as well as 4 booster packs of the upcoming Pokemon TCG expansion, and another 4 booster packs of “the strongest” Pokemon TCG expansion. I don&apos;t do the TCG anymore but I&apos;d be interested in those if they were over here. The clones finally get cards!